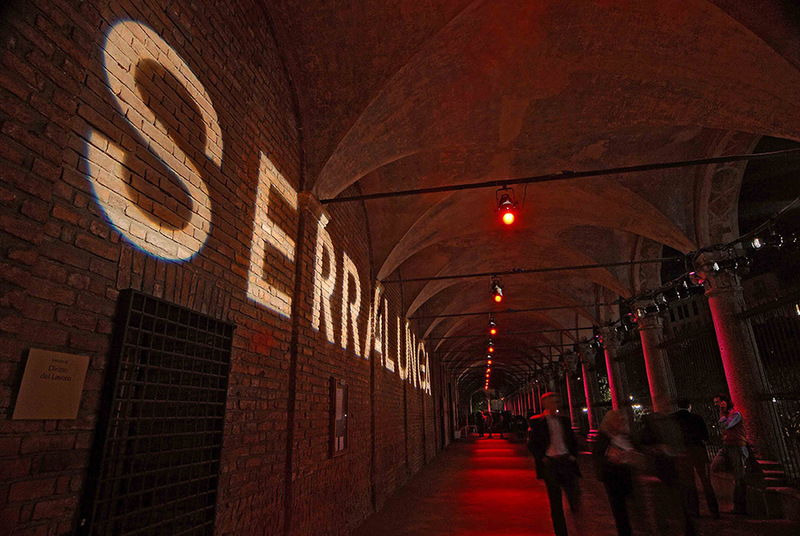 Temporary lighting installation. 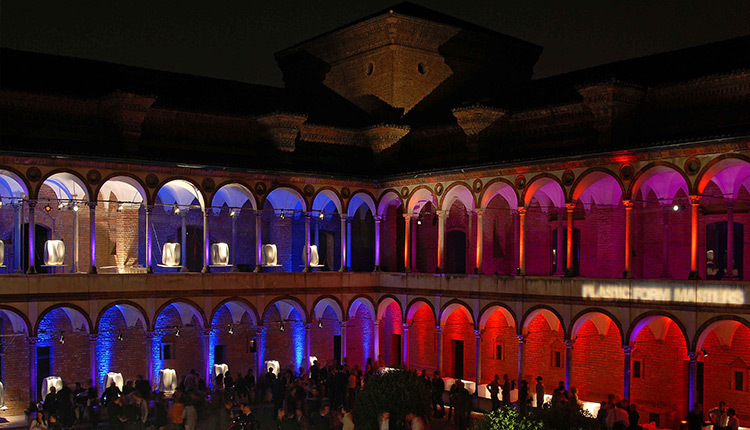 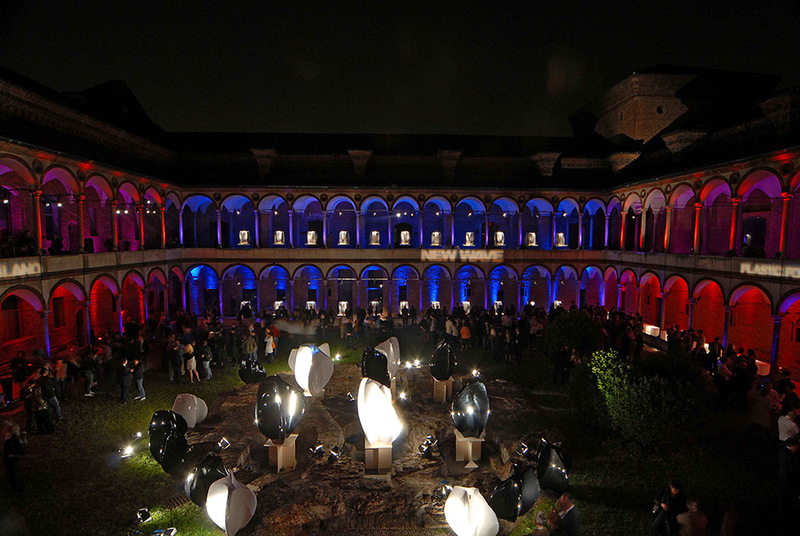 On the occasion of the presentation of vases-sculptures by Zaha Hadid and Ross Lovegrove, produced by Serralunga, the fifteenth-century courtyard of the University of Milan is transformed, by contrast, in a luminous pop scenography. 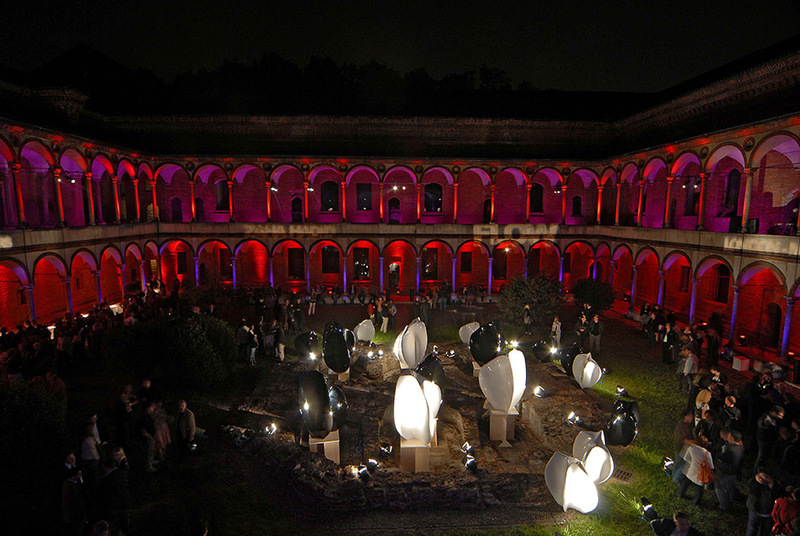 A dialogue between past and present in the sign of light.